Niger super-group, The Endless Journey, have announced plans to tour the UK during June and July 2012. The band brings together four musicians from two of Niger’s most internationally celebrated groups: Mamane Barka and Etran Finatawa. For the last six years both groups have been preoccupied with bringing the music and culture of their respective (and adopted) nomadic tribes to the world stage. But now there is a more urgent need to move from being cultural ambassadors to being cultural activists. 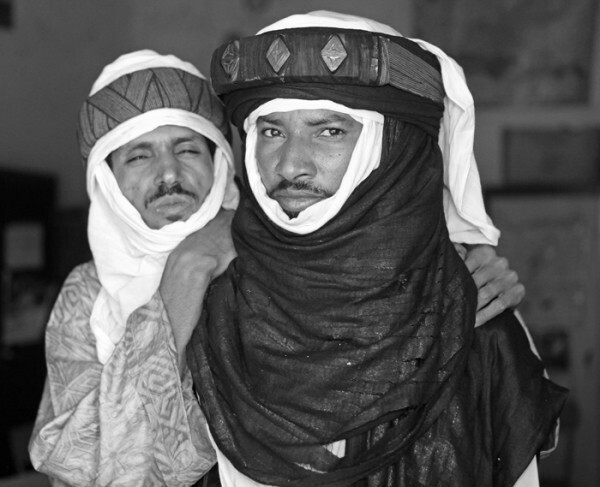 Each time they return to Niger it is more evident that traditions, and with it cultural identity, are being rapidly lost. ‘The Endless Journey’ is a show that recounts their attempts to stem the haemorrhaging of Niger’s cultural heritage in a powerful music performance accompanied by images and film. Some of the shows might also be accompanied by a touring exhibition and documentary film about The Endless Journey. The four musicians at the heart of ‘The Endless Journey’ understand that losing cultural identity makes their country poor, but without a champion for diversity it’s a very bleak future indeed. Their musical collaboration and the resulting powerful show is an impassioned call for action through swirling guitars, searing vocals and incessant rhythms performed against a backdrop of evocative film and images. Touareg singer, guitarist and songwriter Alhousseini Anivolla and Wodaabe singer Bammo Agonla have toured Europe, Canada, America and Australia with the internationally acclaimed group Etran Finatawa. 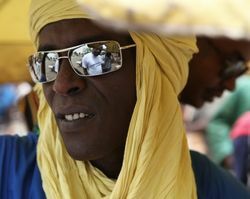 Mamane Barka is a charismatic musician and ethnomusicologist who is widely known in Niger as a virtuoso ugurumi player. Internationally, he is best known as the last master of the Biram, a sacred instrument of the Boudouma people that he learnt in order to save it from obscurity. Oumarou Adamou, the son of a Hausa Griot, is a famed percussionist and lifelong friend of Barka. Together, their swirling strings, driving rhythms and haunting vocals evoke the vast open spaces of the desert and the very soul of nomadic life. 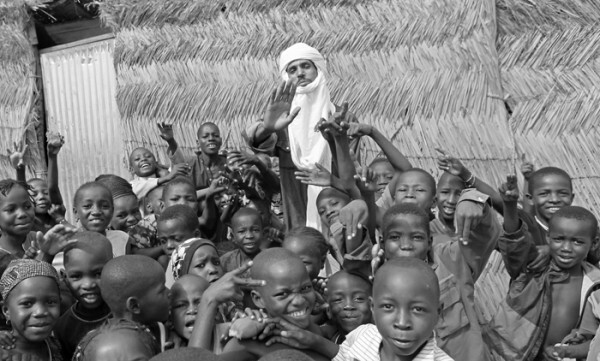 In September 2010 Etran Finatawa, Mamane Barka and Oumarou Adamou embarked on a road trip, ’The Rolling Music Lesson’, to take their music to outlying schools across Niger. Internationally acclaimed photographer and film-maker Jean Molitor accompanied them and documented their musical journey. The organisers of the tour, Access All Areas, are also making this documentary film available to promoters of ‘The Endless Journey’ to screen alongside the performance as well as a touring exhibition of the stunning images he took. In partnership with WOMAD Foundation they will be producing a Creative Learning Experience for schools led by the musicians of The Endless Journey. Accompanied by a resource pack and the documentary film this programme offers schools a totally unique cross curricular learning experience.